*Disclaimer - I received the products in this post from being a Strawberry Shortcake Ambassador, and also received compensation for writing this post. Are you looking for some fun items to get your child? Our kids love books and have fun reading. I received a Comic-Con book for Strawberry Shortcake Purple Pieman, which is pretty cool. They had a good time looking through it, because it's only like their third time seeing a comic book, and with Comic-Con that went on late last month, they sent it for us! 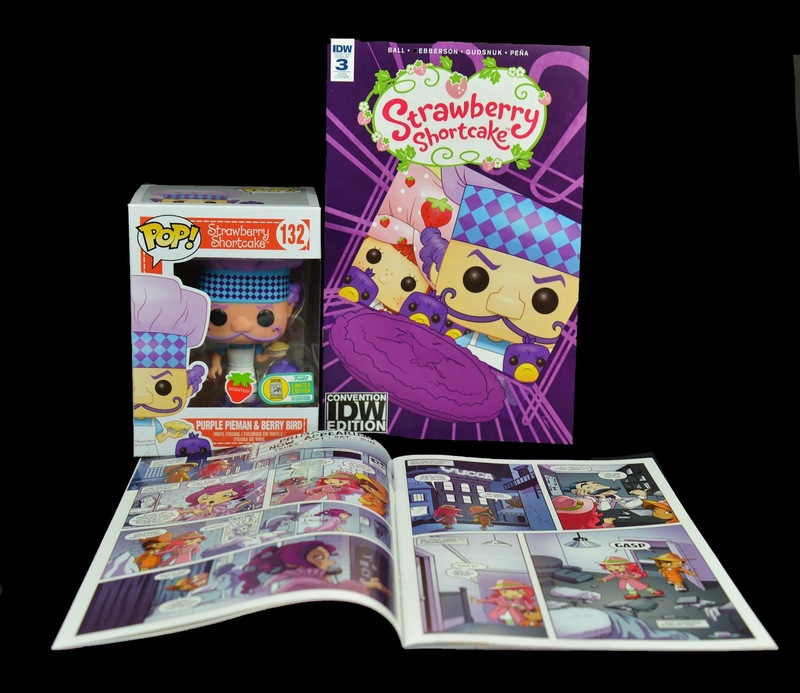 The one thing our daughter liked most is the Strawberry Shortcake Purple Pieman Funko Pop figure! It's a bit scented too, so she thought it was pretty cool and enjoys playing with it, with her dolls. She absolutely loves Strawberry Shortcake, so this month's goodies were fun for both of our older two kids to enjoy. This is so cute! My daughter would love it for sure. I need to get it for her.